The 46-year old has inspired a dramatic revival of United's fortunes since taking over from the sacked Jose Mourinho in December, winning 14 of his 19 games. 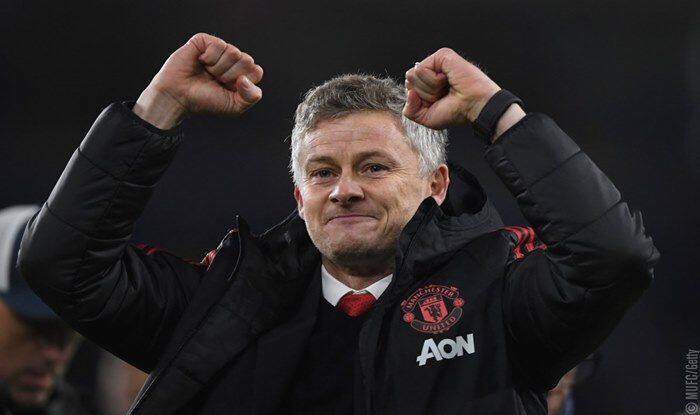 Manchester United confirmed on Thursday the appointment of Ole Gunnar Solskjaer as their full-time manager on a three-year contract. Solskjaer was appointed as caretaker manager on 19 December 2018 after the departure of Jose Mourinho. He won his first eight games as an in-charge on the overall record of 14 victories and two draws in 19 games, amassing more Premier League points than any other club during that time. Solskjaer scored 126 goals in 366 appearances for United between 1996 and 2007. He was already a hero to fans as the man who scored the stoppage-time winner in the 1999 Champions League final to complete the treble. “I want to thank Ole and the coaching team for everything they have done so far and congratulated him on this richly deserved appointment. The fans and everyone at the club are behind him as he looks to take us where we need to be and build the next stage of our history,” he added. After Mourinho was sacked following a 3-1 loss to Liverpool on December 16, Solskjaer initially arrived from Norwegian club Molde “on loan” until the end of the season. Solskjaer, who spent 11 seasons at Old Trafford as a player, took over with the club in sixth place in the Premier League, 11 points off the top four.